Recruiting Update: Are the Ducks on QUACK WATCH? The start of spring football marks a critical point on the recruiting calendar. It’s one of the busiest times of the year, as prospects use this time to travel across the country and see what each program has to offer. The Ducks have already kicked things into gear, with over a dozen prospects expected to make the trip to Eugene this spring. One of their targets, Peter Latu, has already completed his visit, and was so impressed that he committed to the Ducks right away. The three-star outside linebacker from Washington is already the third prospect to “quack” for the 2020 cycle. And there are plenty more to come. One name in particular is gaining steam as a likely Oregon commit. And while it’s still very early in the process, it’s hard not to get excited about this potential stud. Offensive tackle Roger Rosengarten is one of the Ducks’ top targets at any position. The 6’7, 275-lb. 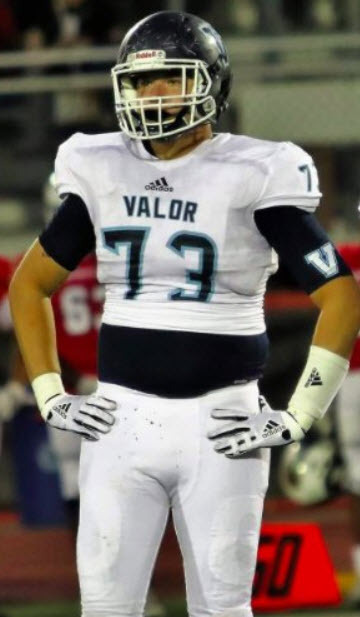 four-star lineman from Valor Christian, Col. is a road grader, who has the attention of blue-blood programs from coast to coast. 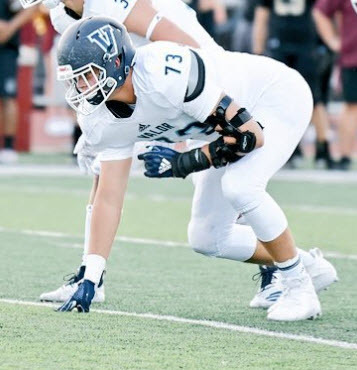 In a year where the offensive line talent out West is lacking — only five prospects west of Texas rank in the top 200 of 247Sports’ composite rankings — Rosengarten stands out. Everyone knows how much Mario Cristobal values elite offensive line play, so it’s not surprising that the Ducks are all in on the bulldozing tackle. While he doesn’t yet have the weight of some of the Ducks’ most recent offensive line recruits, he has the frame to add more size. And one look at his highlight tape shows that he certainly has the functional strength, even at his current weight, to clear gaping holes. Furthermore, his athleticism is impressive for his size, as he is able to climb effortlessly to the second level to seal off would-be tacklers. His skill set would be a perfect fit in the Ducks’ downhill rushing offense, which utilizes both gap and zone schemes and thus needs both powerful and athletic run blockers. And if there were any concerns about his collegiate readiness, just look at who his high school head coach is: Ed McCaffrey. McCaffrey has become a legend in football circles, not only for his own pedigree as a former NFL player, but also for his role in grooming three football-playing sons (Max, Christian and Dylan) — one of whom is currently tearing it up in the NFL for the Carolina Panthers. Rest assured, Rosengarten is in good hands. The Ducks are the favorites to land Rosengarten. While there are many high-profile programs that are pursuing him, Rosengarten is an Oregon lean right now. He was on campus from March 8th-11th, during the start of spring ball for the Ducks, and he has not been shy about his love of the program. It’s not a foregone conclusion that Rosengarten commits to Oregon; Notre Dame, Ohio State, UCLA and Oklahoma are some of the Ducks’ biggest challengers right now. Rosengarten named those schools (except Oklahoma), along with Oregon and Michigan, as ones that stood out to him in his interview with ScoopDuck. 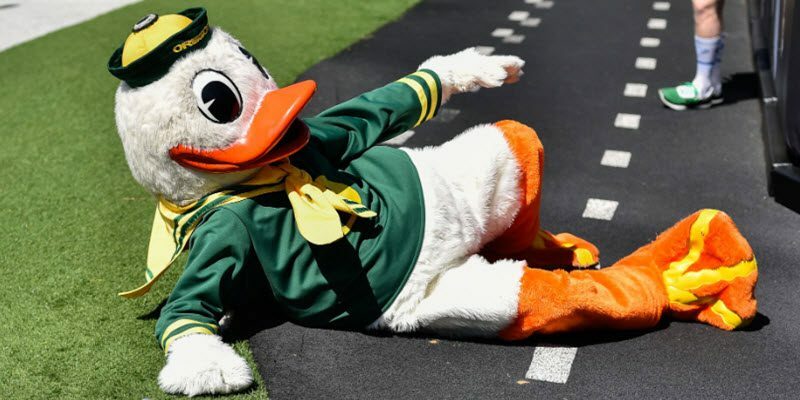 But, with their coaching staff doing a full-court press on him, and with Cristobal’s reputation as an elite developer of offensive linemen, the Ducks are ahead in this race. Right now, both Crystal Ball predictions on 247Sports have Rosengarten choosing Oregon — a good sign for the green and yellow. Rosengarten has a lengthy list of schools he plans to visit. Experts didn’t rule out a potential commitment during his visit to Oregon this spring, but unfortunately, Rosengarten left Eugene without pulling the trigger. This wasn’t a total shock, as he has a laundry list of schools to visit in the upcoming months. He’s coming off of visits to Nebraska, Oregon and UCLA; next on his schedule are visits to Ohio State, Michigan, Notre Dame, Iowa and Oklahoma. He has quite the spring break ahead of him! He did tell ScoopDuck that he would like to pick a school before the start of his senior season in the fall, and unless something changes drastically within the next couple of months, expect the Ducks to be the choice in the end. Who knows? Maybe he’ll cut things short and commit before spring ball is over. That would be just the treat that Duck fans need to tide them over this offseason. And a special thanks to the experts and insiders at 247Sports and ScoopDuck, who provide fans with the best and most in-depth Oregon recruiting news in the industry. Subscribe to each of them for premium content and the most up-to-date recruiting news.